Examinations and continuous assessment obviously play an important part in the academic careers of our students. They support us in measuring progress and ultimately, reflect students’ ability. In years 10 – 13 students are entered for GCSE, GCE, BTEC and other vocational qualifications with various Awarding Bodies. 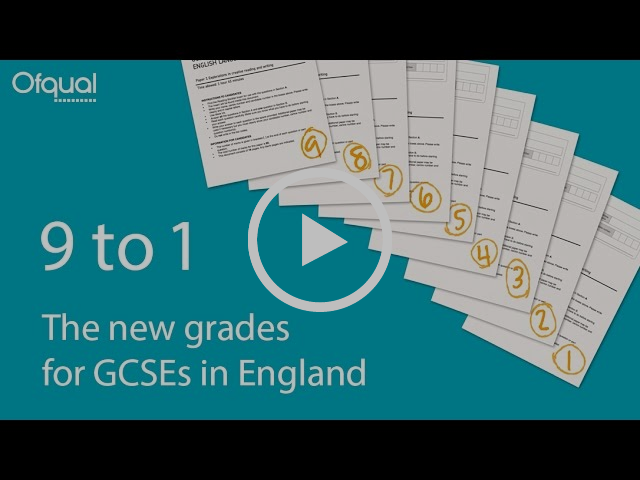 Government changes to the exam system means that all exams in school will be going through a transition stage over the next few years, with the new AS levels being de-coupled from A levels and GCSE qualifications grades changing from 9 – 1 rather than A* - G.
Ofqual have produced a new set of films aimed at parents, pupils and employers to help raise awareness and understanding of the new 9 to 1 GCSE grading scale. The films are available on YouTube and will also be shown on some of the main TV catch up services. If you have any questions or queries please do not hestiate to contact our Examinations Officer, Mrs K Khabiri on 01295 264216.